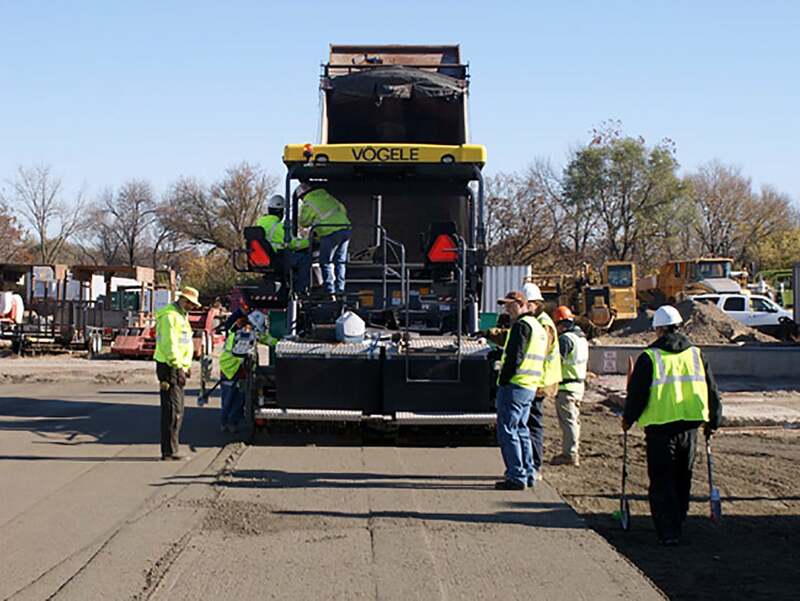 A low water-cement ratio concrete great for high traffic situations. 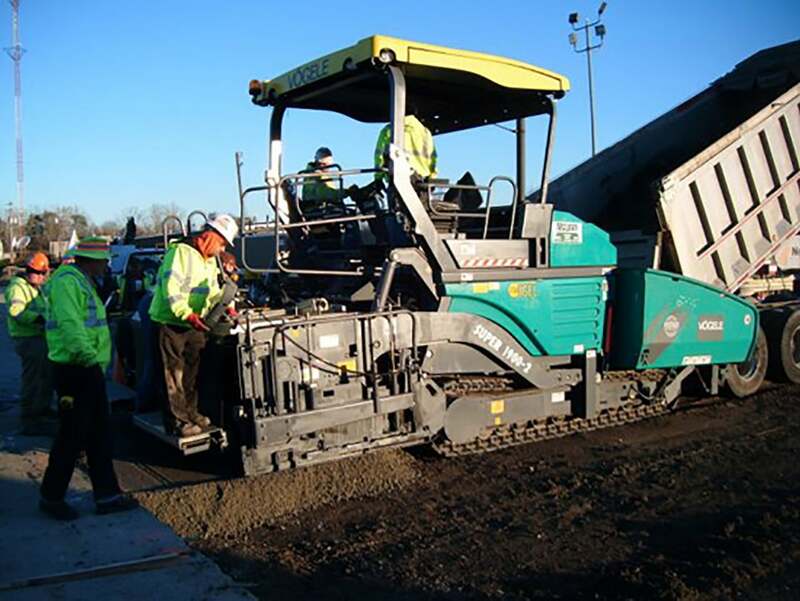 Roller Compacted Concrete is a low water-cement ratio concrete pavement installed through a specialty paver, similar to an asphalt paver. 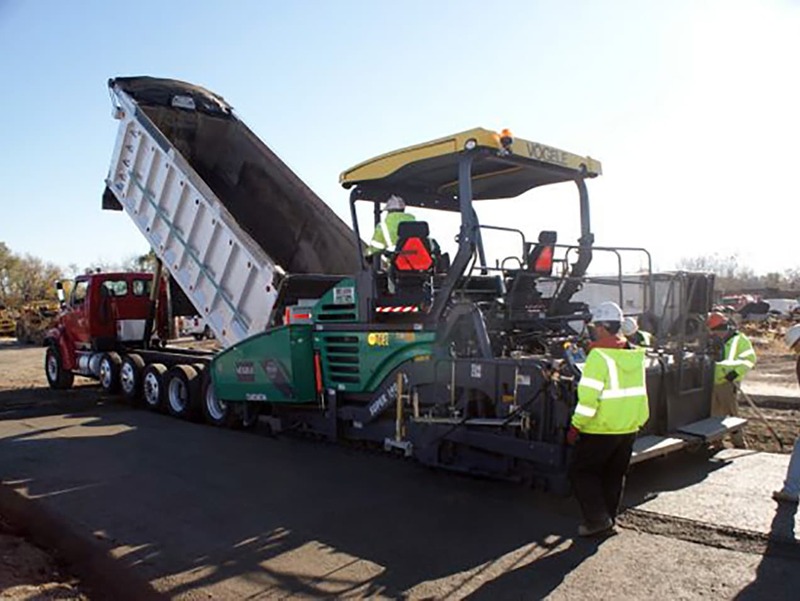 The low slump concrete is mechanically compacted by the paver and followed quickly by double drum rollers. The density of the pavement is then checked by nuclear gauges. 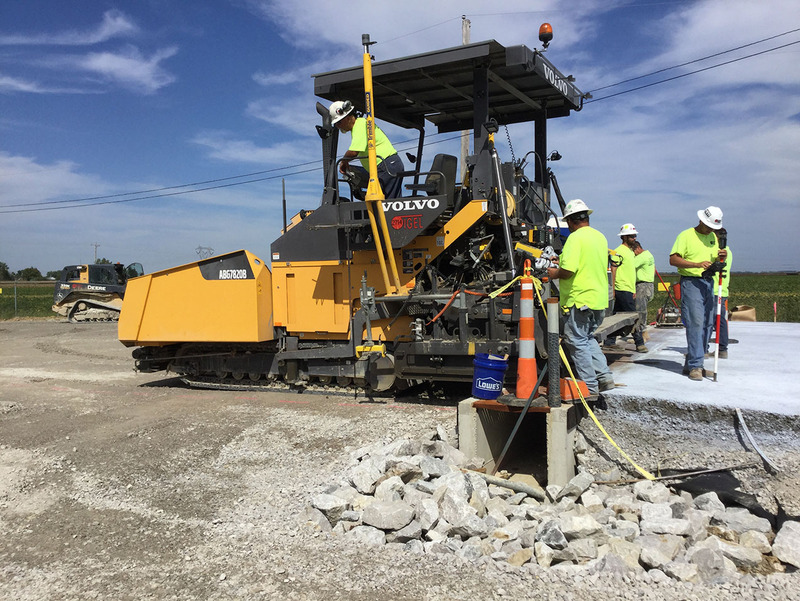 The compacted concrete's compressive strengths can exceed 5000 PSI. 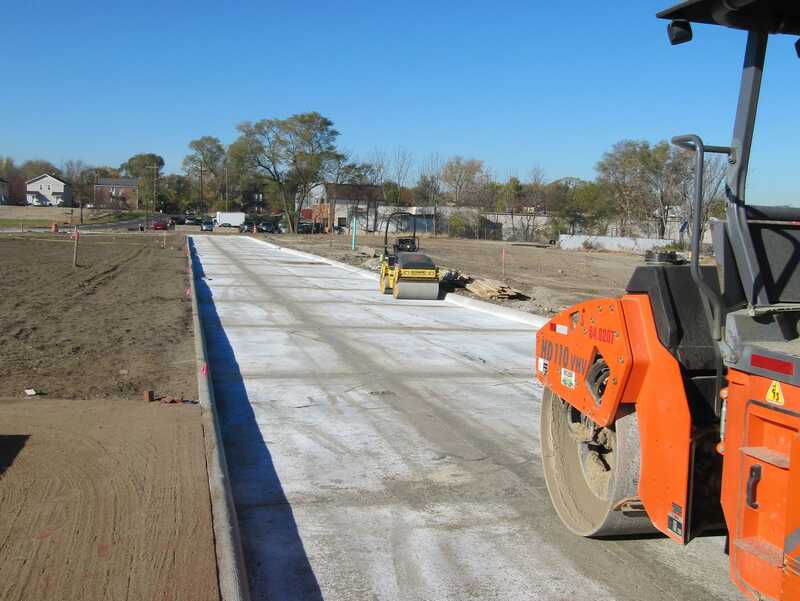 This rigid pavement works well in high point load, high traffic applications, such as; loading docks, distribution centers and trucking facilities. 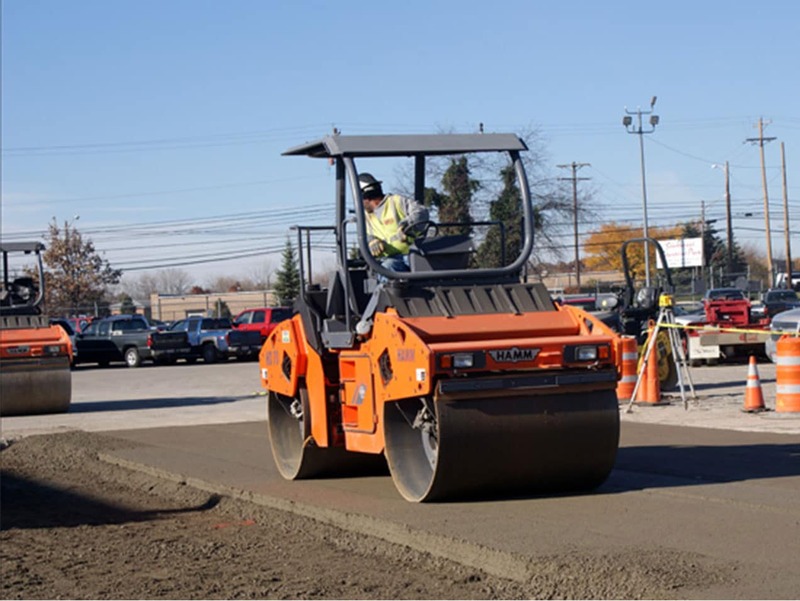 Traffic can be put on the pavement within hours of placement. Please call to learn more about this product. 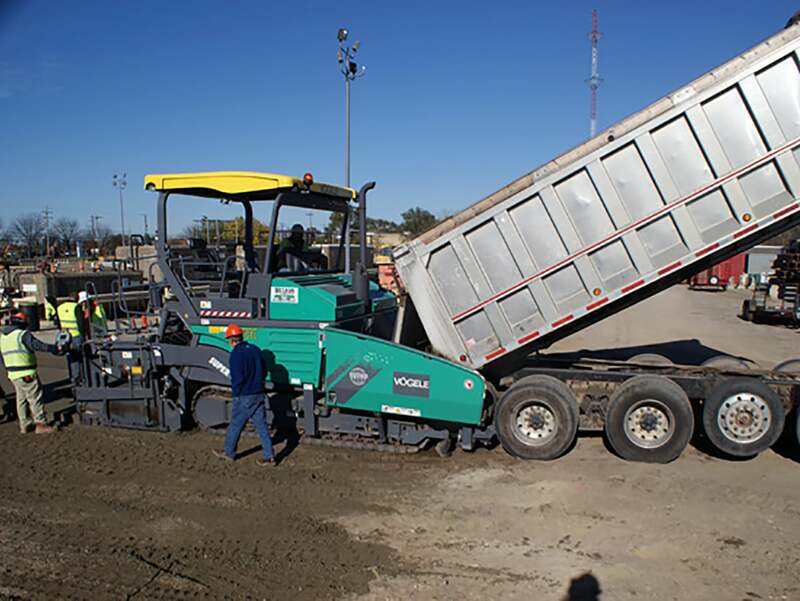 We can assist your design team to look at RCC as an alternate paving product.